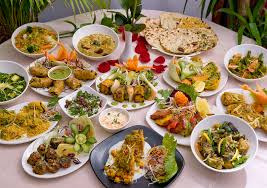 Rams Vegetarian Restaurant trading as RAM’s, is a only serve pure vegetarian Indian food restaurant in the heart of Kenton, specialising in punjabi, south indian and specialist surti cuisine . We offer a variety of choice from South and North India and Indochinese dishes. Customers can expect to dine in an authentic and welcoming setting cooked by our handpicked chef’s from the regional areas of these exquisite dishes. You will experience a mouth-watering sensation in tasting these authentic recipes vaguely altered by our master chefs to provide a contemporary and personal touch to the menu.